As a Global Independent Service provider, Computergate is able to move fast and constantly fine-tune our service to guarantee we are ready and able to adapt to new technologies efficiently and effectively. That’s why some of the biggest brands and retailers trust us to implement and manage their POS, time and time again. Whatever the size of the project, from major roll-outs to small store fronts, we believe that building strong relationships with every one of our clients is the key to meeting every specific outcome. We have the ability to deliver every installation right the first time, on time. Adding to all our unique services with features like on-going support, repairs & maintenance. the size and scope of your project we have the experience and the people to ensure its success. Experienced Project Managers to manage your rollout from conception to completion. Before retailers begin a new shop installation there are numerous questions that must be answered. Our handy installation timeline to ensure you are ticking all the correct boxes along the way. Computergate provides Point of Sale and IT Maintenance services, hardware and software implementation, and staff training across Australia, New Zealand and Asia. 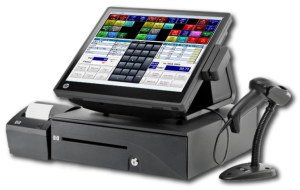 From our years of experience with Point of Sale (POS) Systems and custom hardware devices, we have developed expertise in working in non-it type environments, such as retail stores, hotels, food & beverage, warehousing, exceeding the traditional hardware maintenance service of simply “swapping out” faulty hardware. 1. Industry leading Response and Resolution times. 2. Extended hours of support, to match or exceed Retail Trading hours. 5. Maintenance of Custom PC Based Hardware. 1. Onsite and Remote Software installation. 5. Creation of Store Roll-out self-install solutions. Our experts will work with you to lay out and execute the best possible solution for your installation and deployment project. A dedicated project manager will oversee the entire project from procurement to planning to execution. Your new POS system can be configured to your exact specifications and shipped from our facility ensuring your stores are updated on time and on budget. No project is too large for our facility to handle. Our network of field technicians provide professional quality installations across the ANZ and APAC. We ensure every install meets your specifications through a comprehensive installation checkout procedure. Not sure exactly what is needed at your locations? Our site surveys include location inspection,detailed equipment audits, and site photos.This will aid in determining exactly what is needed for a successful installation. Does your project require a unique support package? We can tailor our support around the needs of your business and project. Our support levels range from depot repair with 48 hr turnaround to 4 hr onsite response. Proper use of the new equipment is critical to a project’s success. Our in house staff of trainers can create training, documentation, videos and perform a remote training session immediately following an installation.